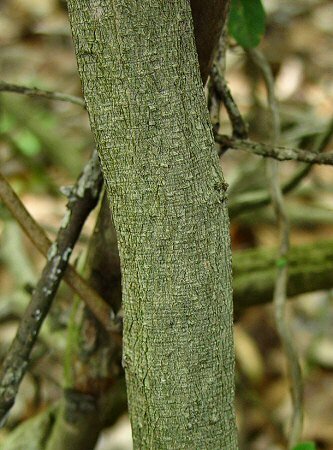 New growth of the stem. Habitat - Open woods, roadsides, thickets. Widely cultivated and escaped. Other information - This species can be found throughout Alabama. 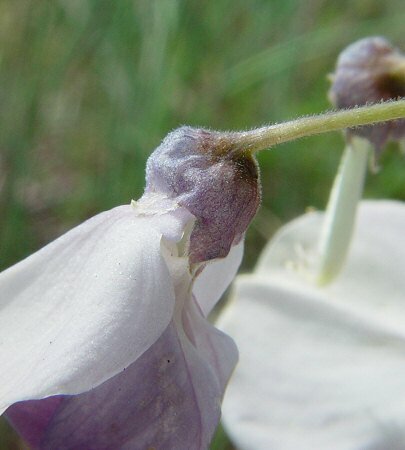 The plant is a common ornamental and has escaped to probably every county in the state. 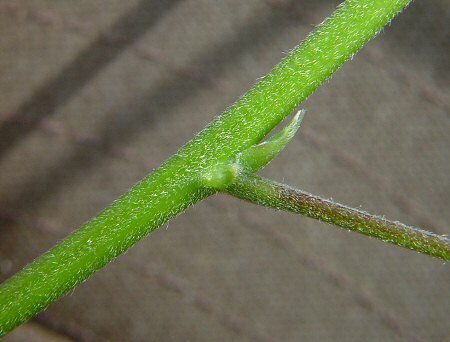 This species can be identified by its densely pubescent ovary and fruit, its densely pubescent new growth, and its big inflorescences of bluish flowers. The flowers of the inflorescence open mostly all at the same time. 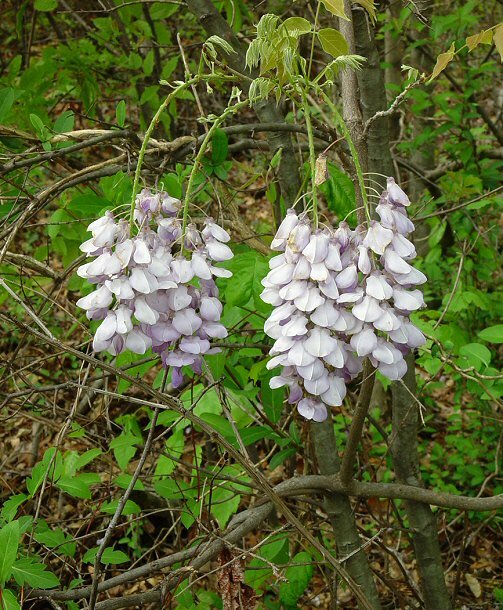 The latest research (Jen Trusty, Auburn University) shows that nearly every introduced Wisteria found growing naturally is a hybrid between this species and Japanese Wisteria, W. floribunda (Willd.) DC. The plant pictures above is just such a case. 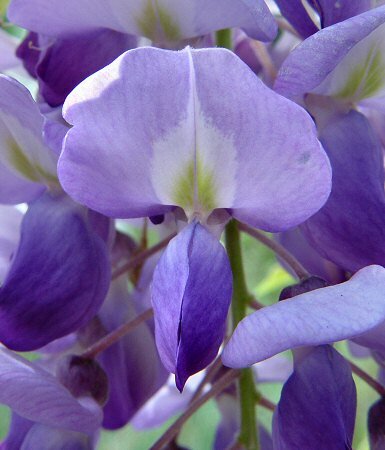 The genus name Wisteria is named for Dr. Caspar Wistar (1761-1818) from Philadelphia. Wistar was an intellect who used to throw parties known as "Wistar Parties" for other intellects of the day. Wistar was also an avid botanist. Thomas Nuttall named the genus in his honor. 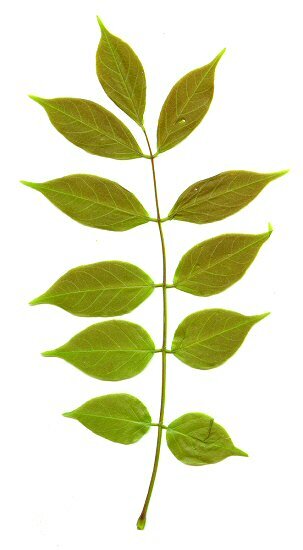 The original spelling of the genus was Wistaria. The species epithet derives from the (new) Latin "sinens" meaning "of China". Photographs taken off Hwy 29, Guilford County, NC., 4-20-03.